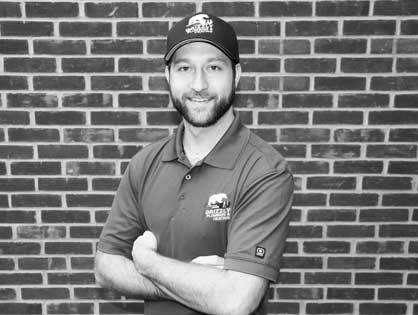 Kyle was born and raised in the City of Toronto and proudly graduated from the Construction and Renovation Technician program at George Brown College. This is where he gained skills such as framing, plumbing, electrical, drywall, masonry, blueprint reading, and the “Ins and Outs” of the Ontario Building code (quite the handy skill)! At the time, Kyle worked for a Renovation Company that specialized in cabinetry, and it was this program that guided him towards the trade of Plumbing. Kyle then decided to add to his credentials, and went back to school to take a pre-apprentice program, and ultimately started his apprenticeship with a Plumbing company where he learned all about commercial building. Kyle then moved to one of Toronto’s Best Residential Plumbing and Heating Companies, and received quality training in Hydronic Heating along with all the fundamental residential skills he was missing. Kyle has now moved on to become a respected Master Plumber and has over 10 years of combined commercial and residential experience. He is a natural leader and is known for his genuine and upfront nature. He is very knowledgeable of his trade and one of the rare true craftsman left in this industry. In his free time Kyle enjoys fishing, camping, pretty much all sports, and of course, spending time with his beautiful girlfriend (Cristina), dog (Dexter) and his loving family.